Homeownership still part of the American dream? The Collingwood Group Chairman Tim Rood and American Enterprise Institute President Arthur Brooks on the outlook for the housing market. U.S. home resales rose in June to their highest level in nearly 8-1/2 years, a sign of pent-up demand that should buoy the housing market recovery and overall economy. The National Association of Realtors said on Wednesday existing home sales increased 3.2 percent to an annual rate of 5.49 million units, the highest level since February 2007. Existing sales this year are on track to record their biggest gain in eight years, the NAR said. May&apos;s sales pace was revised slightly down to 5.32 million units from the previously reported 5.35 million units. 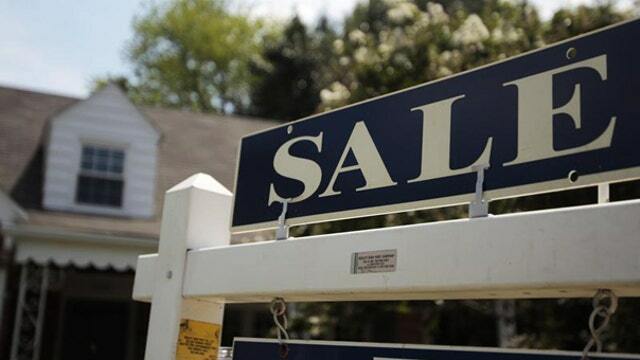 Economists polled by Reuters had forecast home resales rising to a 5.40 million-unit pace last month. Sales were up 9.6 percent from a year ago. June&apos;s solid home sales report came on the heels of last week&apos;s strong housing starts and building permits data. A tightening labor market is starting to push up wages, helping to boost demand for housing, especially among young adults. But supply remains a constraint.